Dies and punches for marking machines or presses can be produced, modifying the standard sizes given in our catalogue in order to suit your machine tools. 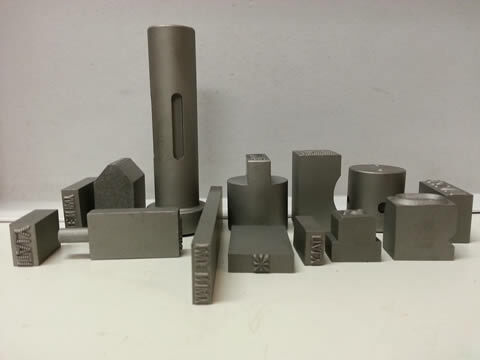 If we receive a detailed drawing complete with all of the sizes, we can send you our quotation for the manufacture of the punches that you require. Please note that it is not possible to create new models for small quantities. contattateci. The new punches (if the quantity is sufficient) will be tested by us first, ensuring that our customers receive a guaranteed product.